While the public has a hard time watching cops being brutally attacked—or worse, dying—on film, it’s important they understand the risk and horror the work can mean. Watch the officers who survived brutal attacks and talk about their choice to remain in law enforcement and continue serving and protecting the people of Dade County’s community. You will be moved to tears as Dade County’s Police Director Jim Loftus gives a memorable speech at the memorial service of two fallen officers, Roger Castillo and Amanda Haworth. Castillo and Haworth were killed during a shootout with a murder suspect as they attempted to serve an arrest warrant. Roger Castillo was pronounced dead at the scene and Amanda Haworth, a 23-year-veteran, underwent surgery but died while she was being operated on. The officers were shot by 23-year-old Johnny Sims, a career criminal who was wanted for a murder in Miami. Sims had a rap sheet five-pages long and had just been released from prison on robbery and drug charges at the time of the incident. The officers were part of a four-person warrant squad that also worked with the U.S. Marshals. VIDEO: Rock Star Cop Returns! this female officer did it by the book. the officers harassing her should be fired and prosecuted. that is not the conduct of good cops. they were punks with badges. i am a cop and would not put life and property in danger. she did nothing wrong and i admire her courage.. This video is truly sad my condolences to the loved family of the office and the know courage of their love ones who allow the message to be heard this does not go unknowticed you’re heart was shared to keep his memory living on, the reminder will save someone else through them all. 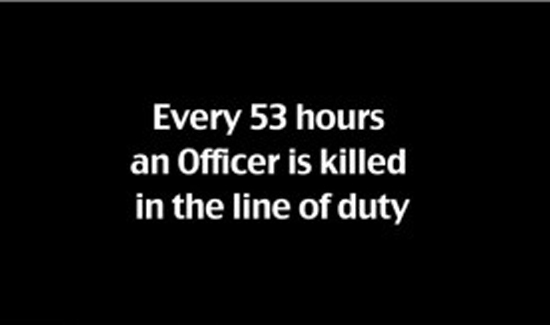 It is said all lifes matter but BLUELIFES MATTER ALSO FOR THEY PROTECT ALL.